Hexagonal Rochambeau: Launch 2.11.12 from Randall Li on Vimeo. From one of the minds that brought you Async Corp. and Glow Artisan, I give you Hexagonal Rochambeau, a local multiplayer iPad game. Hexagonal Rochambeau is a real time “area control” strategy game. 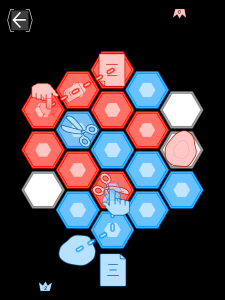 It takes place on a hexagonal board with rock, paper, and scissor units. Multi-touch devices are screaming for a real time strategy game. The iPad has lowered the price of multi-touch screens to an affordable price for consumers. This consumer revolution has given a single developer like myself the ability to explore ideas like Rochambeau. Through my experiments, I have deconstructed, as a chef would in the culinary arts, the heart of gameplay. In Rochambeau the units have been boiled down to their skeletal parts, the rock, paper, and scissor. The hexagonal board keeps the play area simple and easy to understand. By dragging a unit on the screen anyone can understand how to play. Still present however, are the tactics and spirit of a true strategy game. Rochambeau illustrates the beauty of marrying the multi-touch screen to the real time strategy genre, with a bit of distillation. The pairing of the touch interface and the real time strategy game has the potential to create a masterpiece. Let us see if Hexagonal Rochambeau gives it justice. Hexagonal Rochambeau is a very enjoyable game. The clean visual design and intuitive gameplay complement each other perfectly. However, since the latest iOs update (March 17), the game crashes when I tray to play with multiple humans. Please help – I want to play your game! I am the editor for italian publication iPad Magazine. 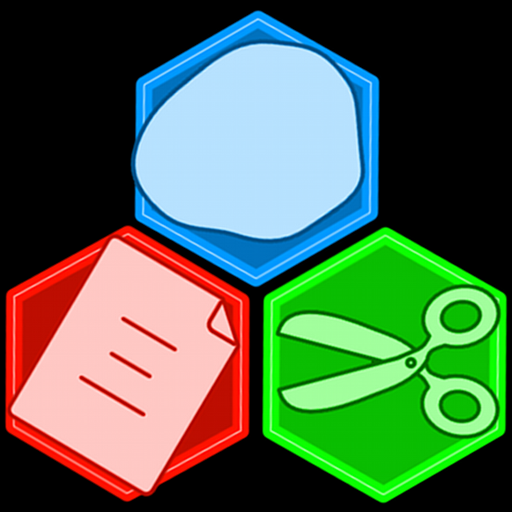 We wrote a review about your game Hexagonal Rochambeau and we would like you to have the pdf. Can you please contact me with an email address I can send it to?